Bride Blogger Emily | Nice to meet you! Hello E&I Readers! My name is Emily, I recently got engaged in June to an awesome guy named Ryan. He popped the question as we were standing on Lover's Beach in Cabo San Lucas with a gorgeous custom engagement ring from Brilliant Earth, which he designed himself-major props to him! The best part was my sister captured every moment on camera! Ryan and I live in Portland, Oregon with our Golden Retriever-Roxy. I am so excited to share with you my wedding inspirations over the next few months! 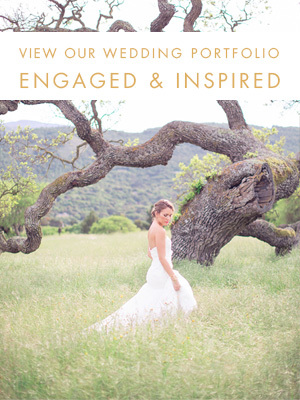 I am an avid blog-reader and since becoming engaged have enjoyed finding wedding blogs to obsess over now too. 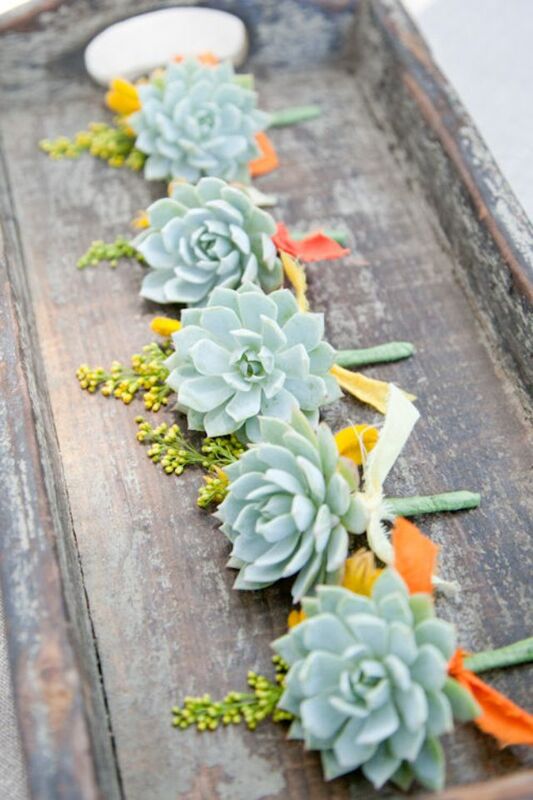 Our wedding will be bright/colorful, rustic/DIY and budget friendly. I hope I can help you with ideas on where to cut cost, when to splurge and in the end still have the gorgeous wedding of your dreams! A few weeks ago Ryan and I finally booked the venue and picked our wedding date! We had been going back and forth with the idea of a destination wedding in Mexico or staying local in Portland, Oregon. We met half way and decided on a mini-destination wedding in beautiful Bend, Oregon. Bend has stolen our hearts, we love taking weekend trips with friends/family and with an average of 300+ sunny days a year, what is not to like! We picked a venue through the Bend Park and Recreation District called Aspen Hall-located in Shevlin Park. We fell in love right away with the venue! Aspen Hall had everything we wanted with indoor/outdoor space and the gorgeous landscape of Central Oregon. Another added bonus is it was well within our budget that we set aside for the venue space. Before signing off I wanted to include a few photos that have caught my eye to shape the vision for our wedding. I love this table for the reception! I think ivory, burlap or a light brown tablecloth will fit perfectly into the indoor space at Aspen Hall. It will compliment the exposed craftsman-style wooden beams and the huge brick fireplace. My ideas around the ceremony altar are crafty, colorful yet simple. We will get married with the small Lake as the backdrop, so I do not want something that is too overbearing as the nature being backdrop is gorgeous enough. Thank you for reading and cannot wait till my next post is ready! In the months leading up to our engagement, I started pinning images here and there that I knew I would want to fold into our wedding day. I snuck them onto boards called “Sparkle” and “Party Time” but really, I had our someday wedding in mind all along. So when we got engaged, of course the first thing I did was to bring all those ideas back together into one board called “The Big Day” and started to pull out my very favorite images to I could put together a cohesive idea of what I wanted. I wanted to start being able to show people my overall vision in one place. As I pulled out my favorite moments, it was interesting to see the evolution of this inspiration as Erik and I worked together to decide what our wedding day would be like. I don't think a lot of people talk about how these things come together (since it doesn't just happen out of the blue). And again, his reaction wasn’t that “Yes! This is OUR big day”. He simply said to me, yeah, its pretty, but where are WE? Where is the COLOR? And that’s true, I love bright bold jewel tones, and so does he. My house is certainly not the monochrome modern oasis that you might expect of an architect. And he doesn’t really have that typical bachelor style. We went back through my pinterest boards together and when we passed this palette he said “Now, I like that!” Which was a pretty cool moment, having him get really excited about our big day. So, I went back through one more time and picked some bolder images and folded them in with the light and texture we’d loved from the beginning. And voila! Our full inspiration came to life. Its not THAT much of a departure from where we started, but its much more “us” which really makes me happy. And it taught me a good lesson at the beginning of the whole process – which is to really consider decisions about who you are as a couple and not just what the industry or websites are telling you is pretty.